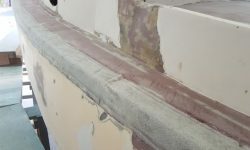 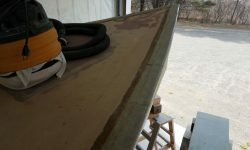 To get started, I installed the two layers of biaxial tabbing on the starboard hull/deck joint, repeating the process I’d completed on the port side earlier. 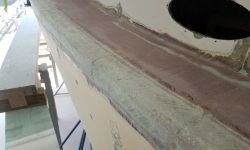 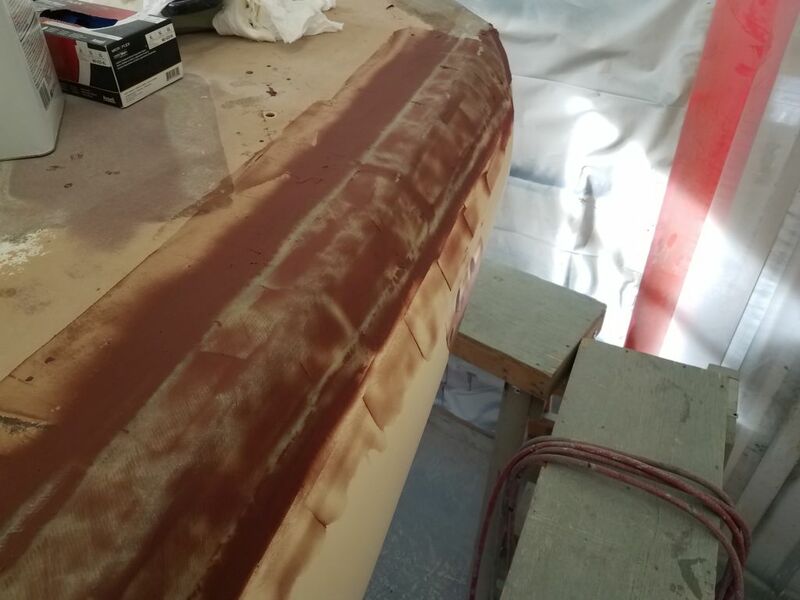 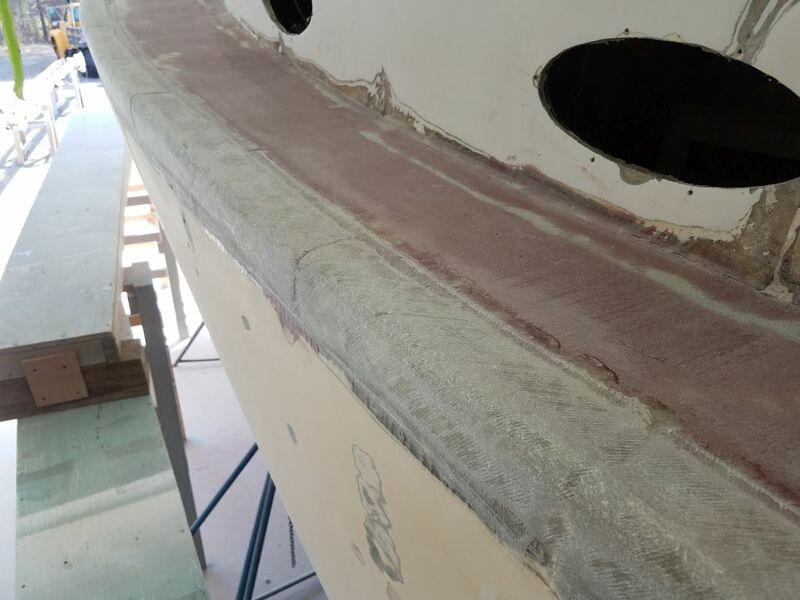 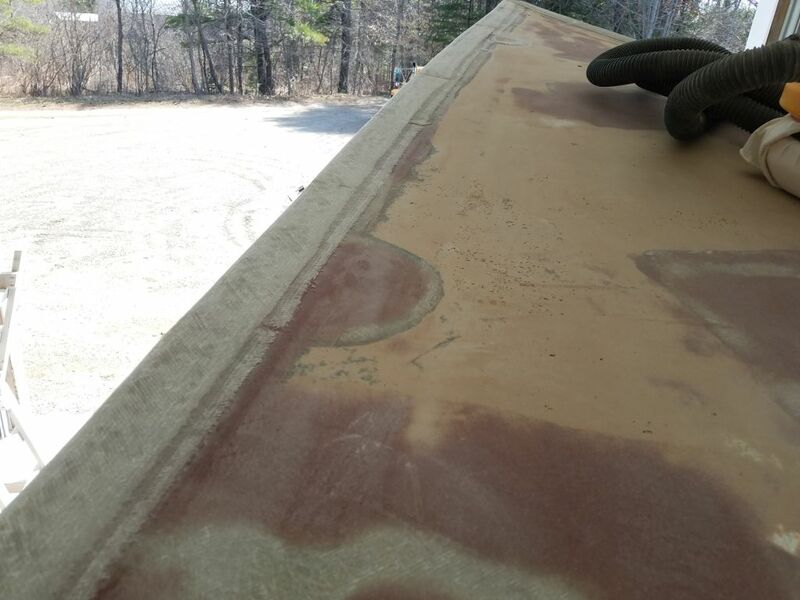 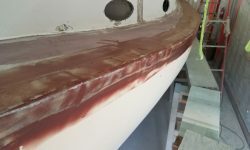 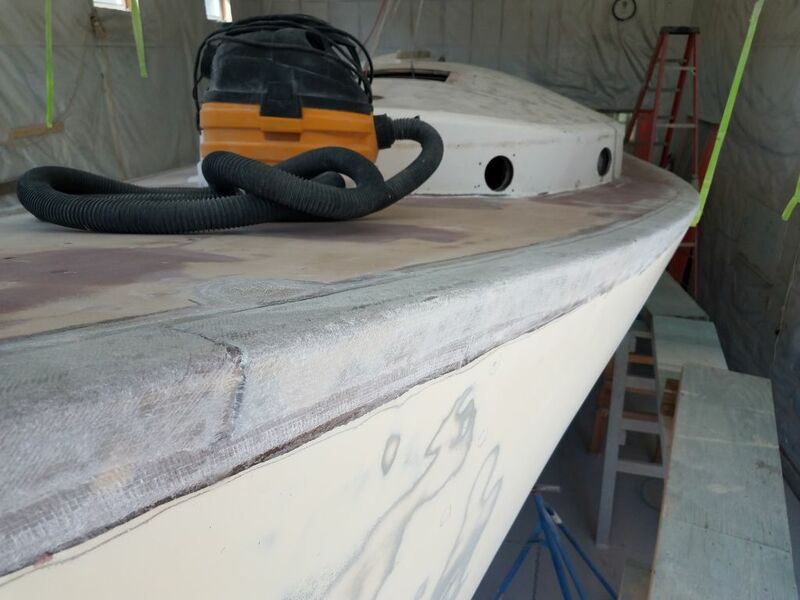 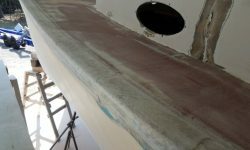 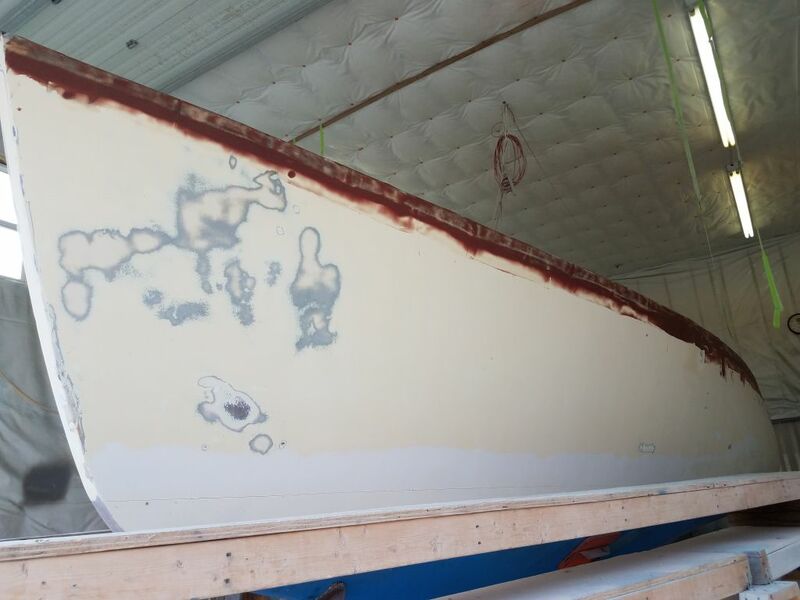 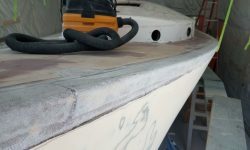 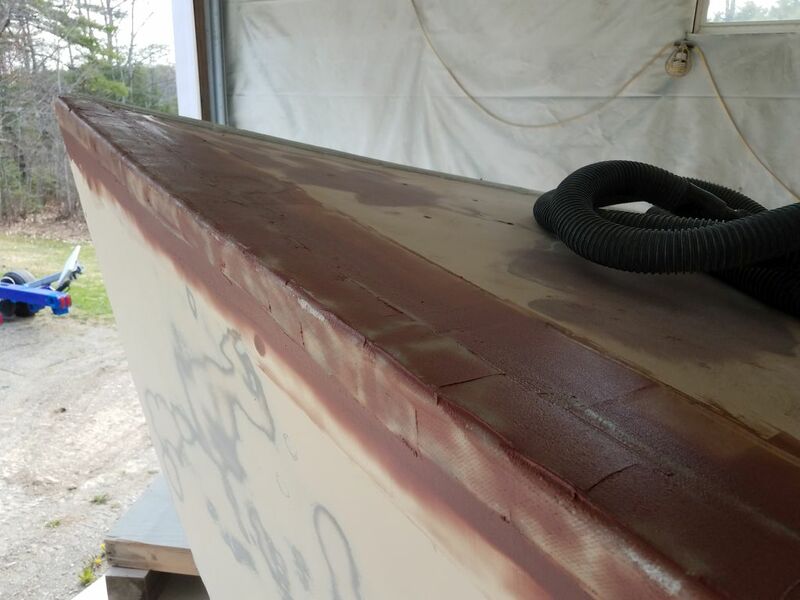 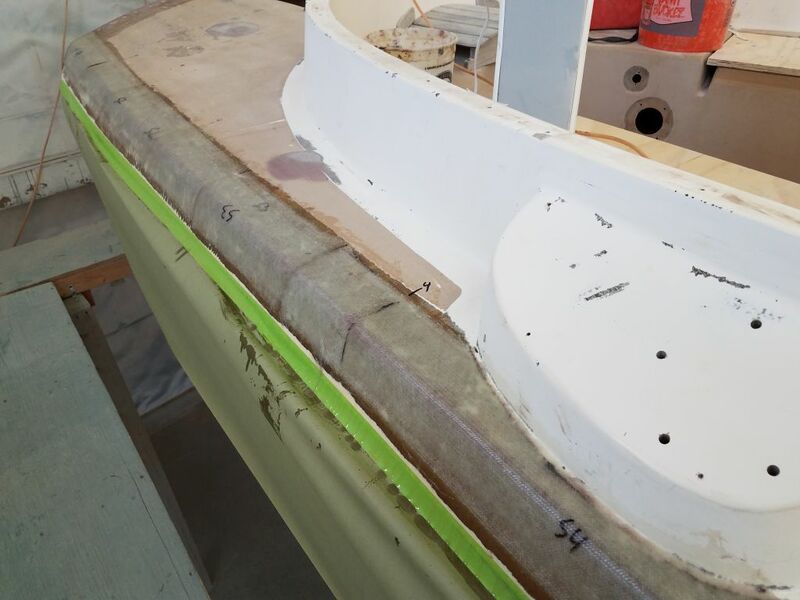 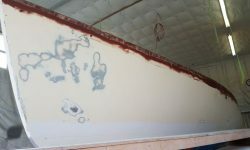 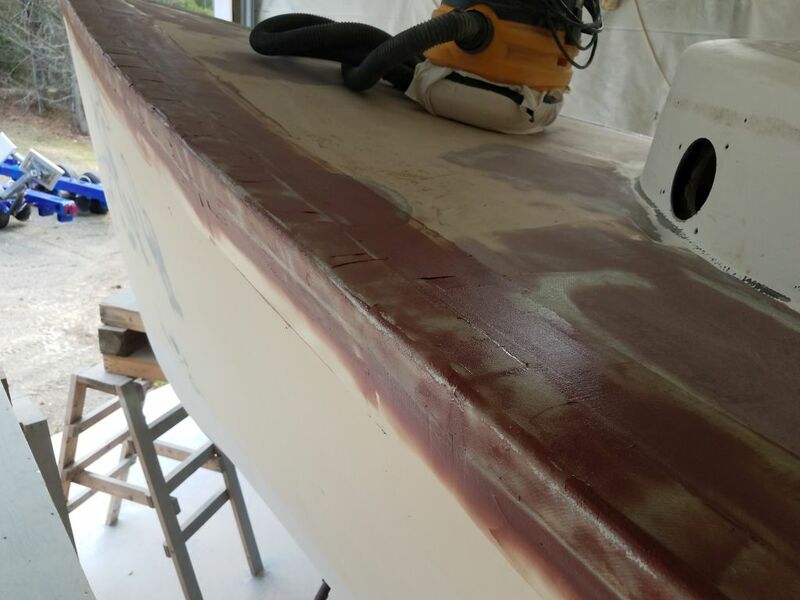 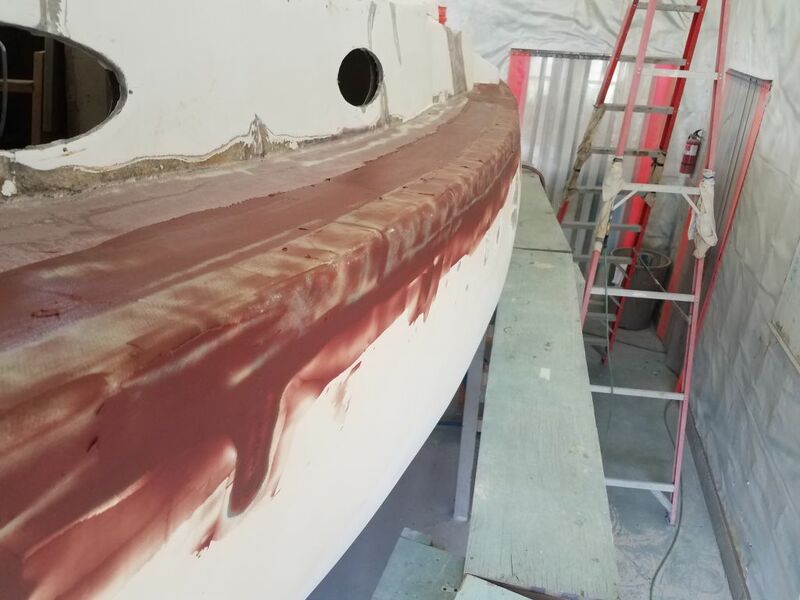 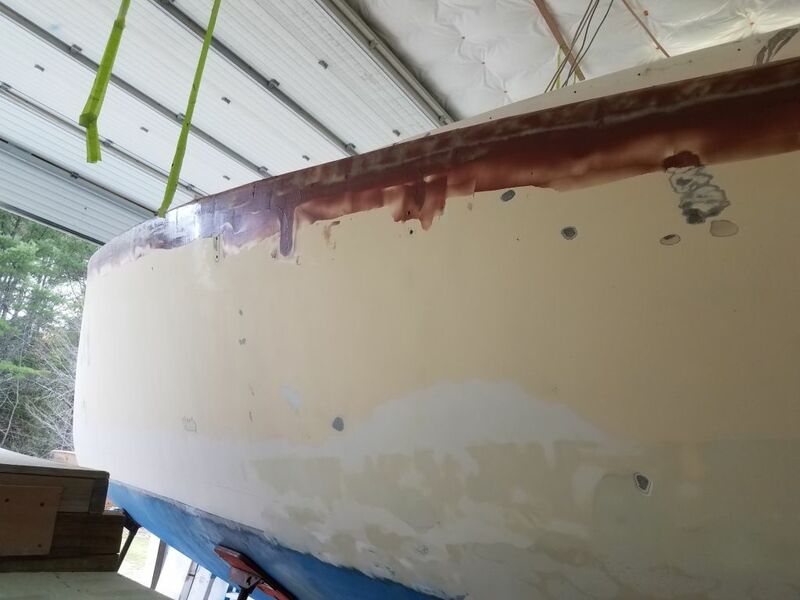 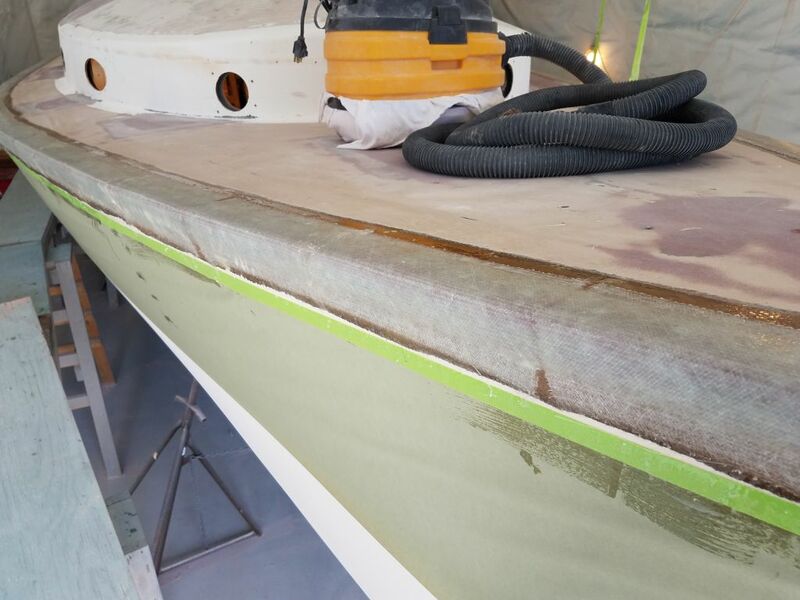 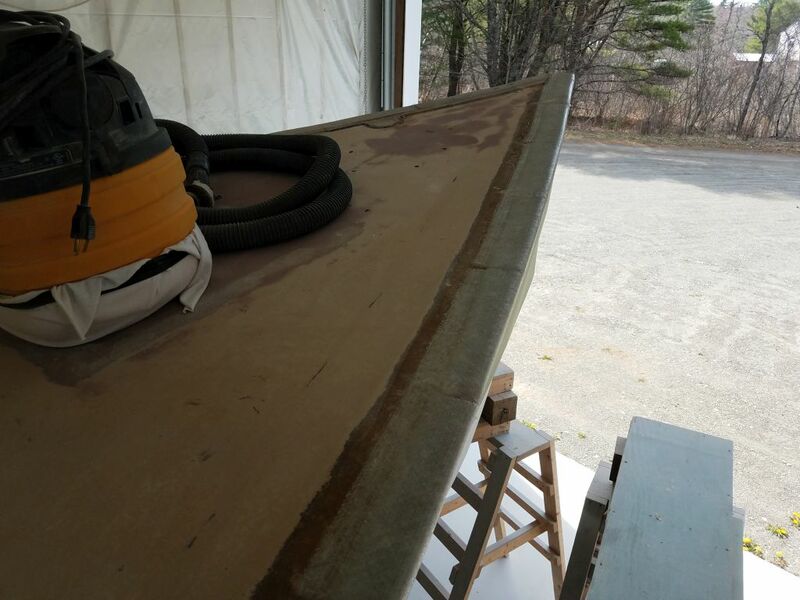 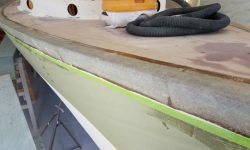 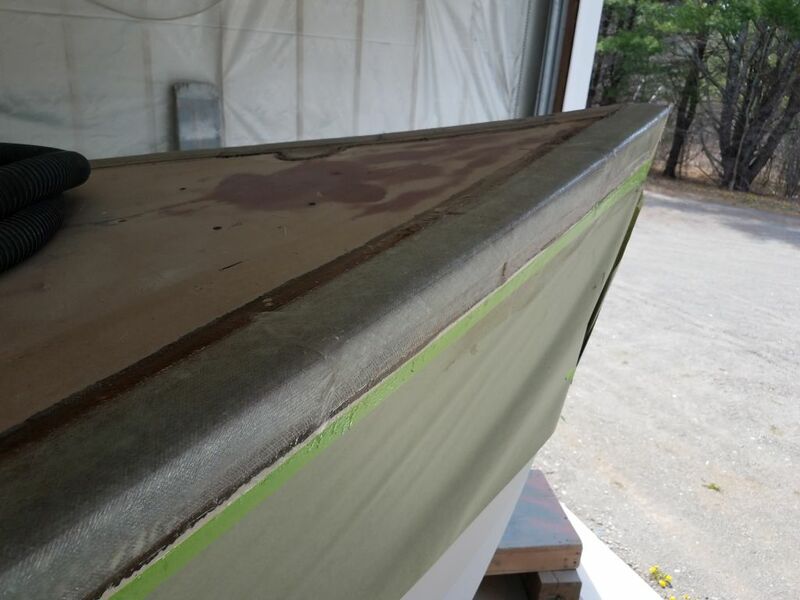 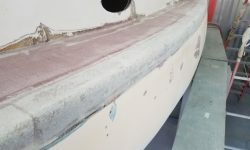 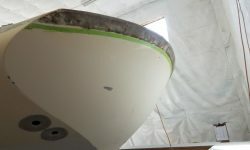 After a break for a few hours while I completed some work on another project getting ready to leave the shop later in the week, I lightly sanded the new fiberglass on the port gunwale to prepare it for fairing. 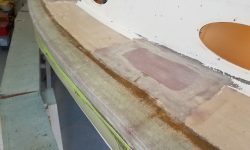 After cleaning up, I installed two layers of tabbing over the taffrail/transom section of the hull/deck joint. 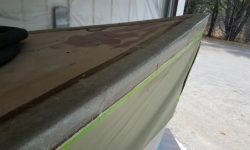 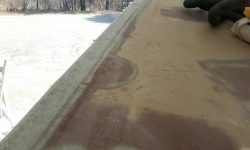 Here, I required shorter sections to better approximate the curvature of the seam. 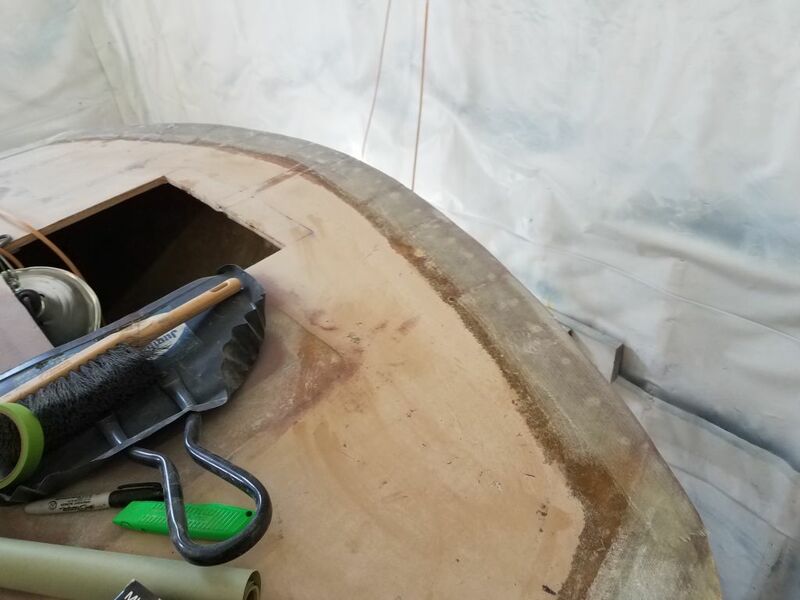 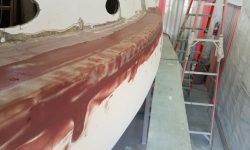 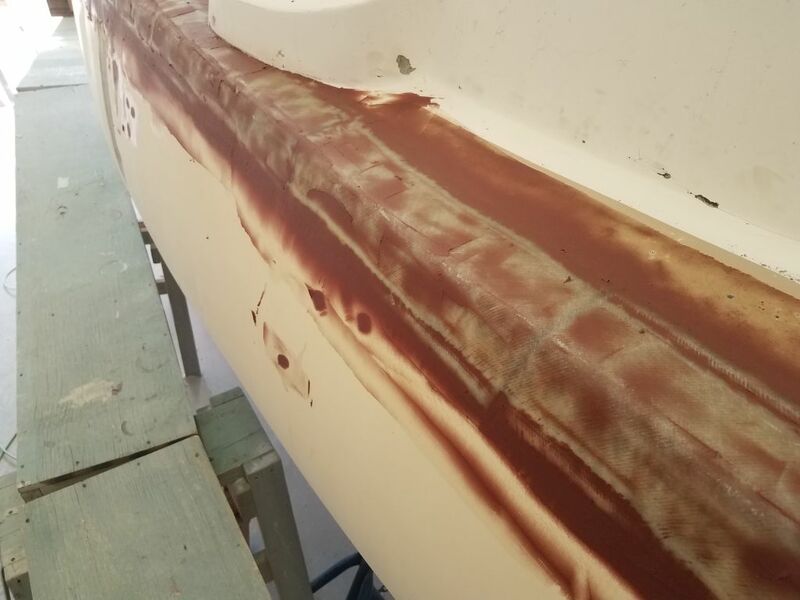 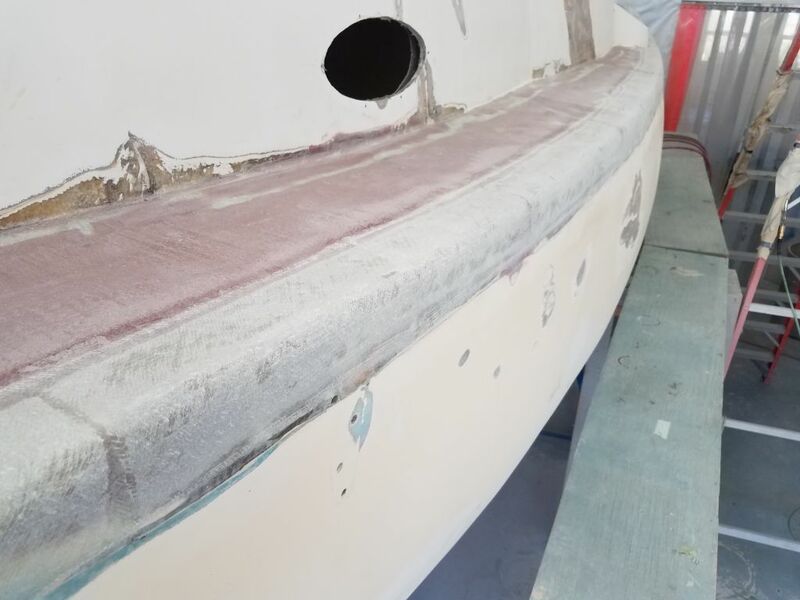 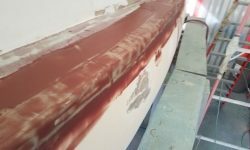 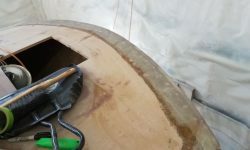 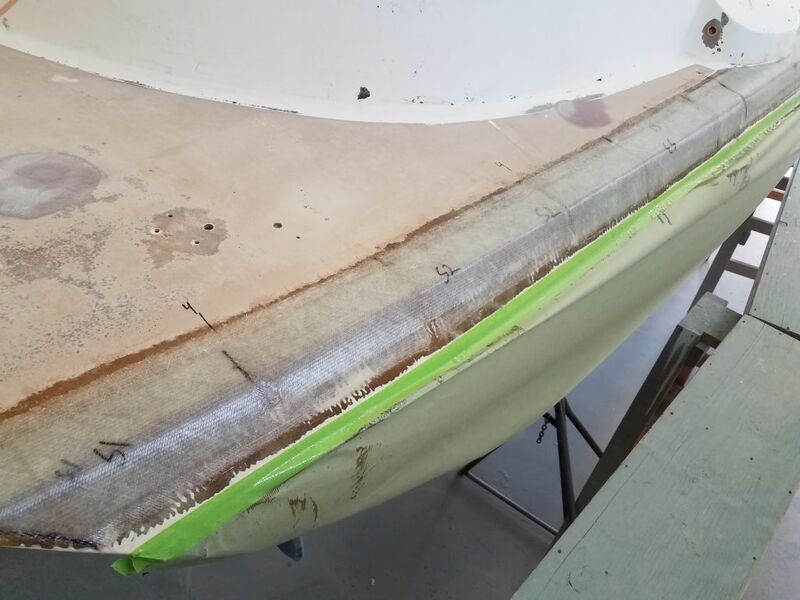 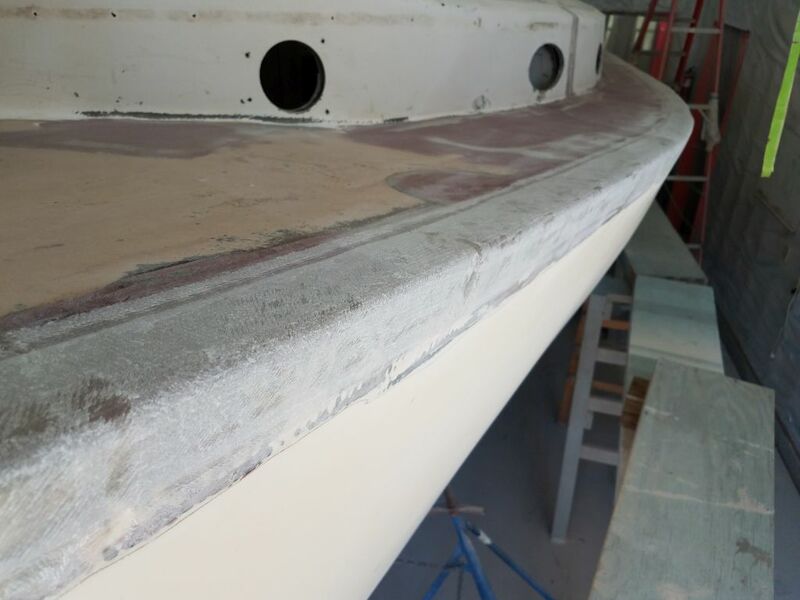 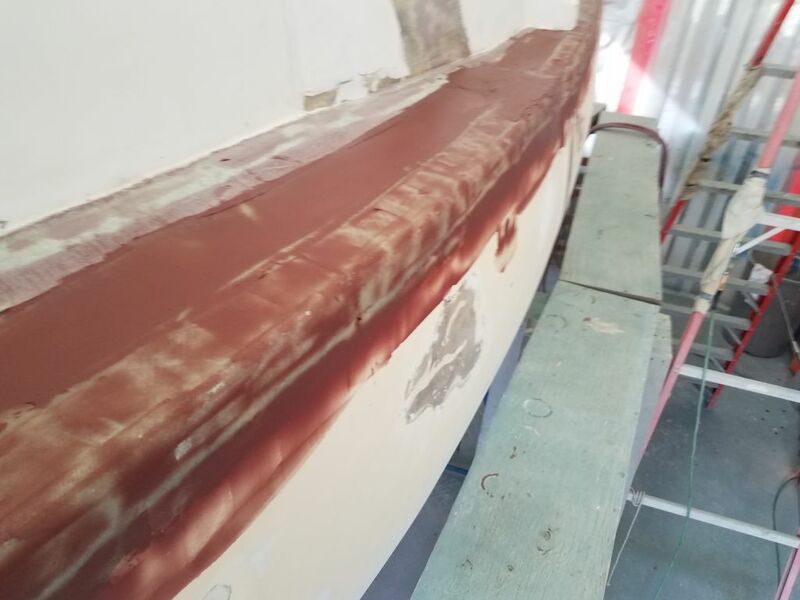 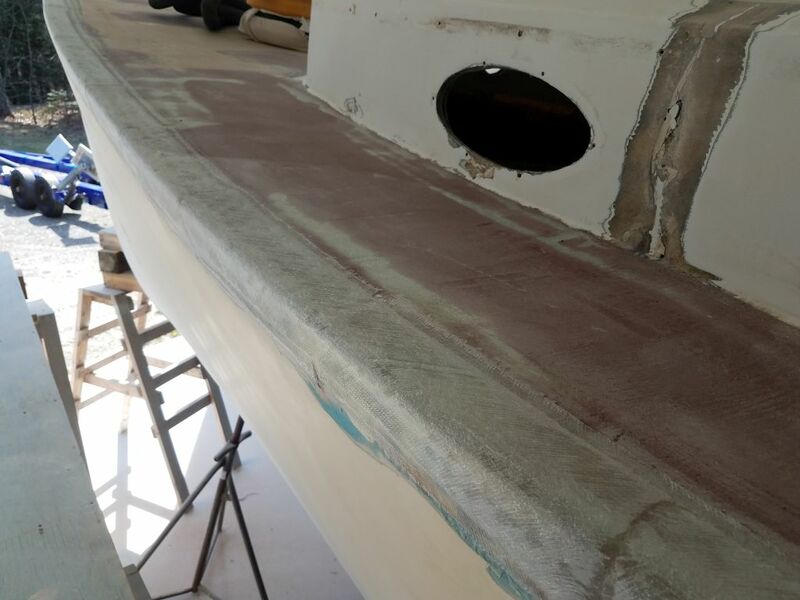 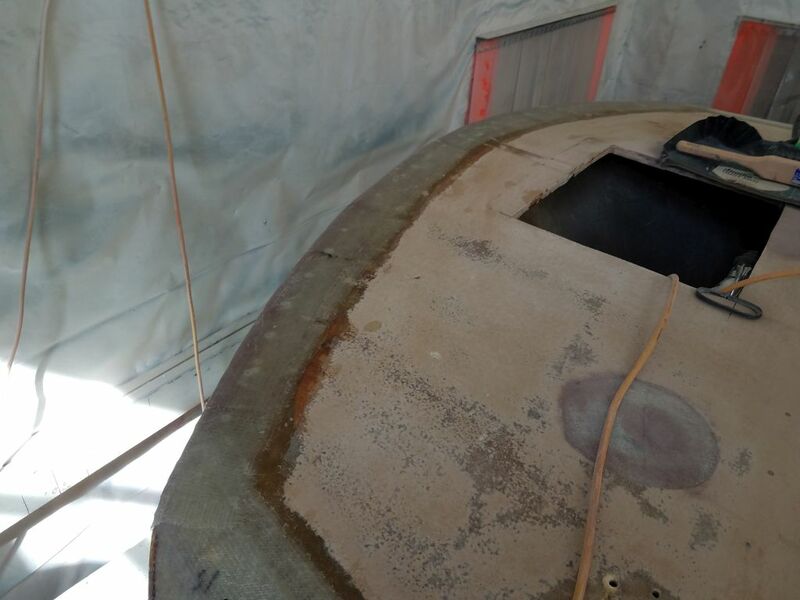 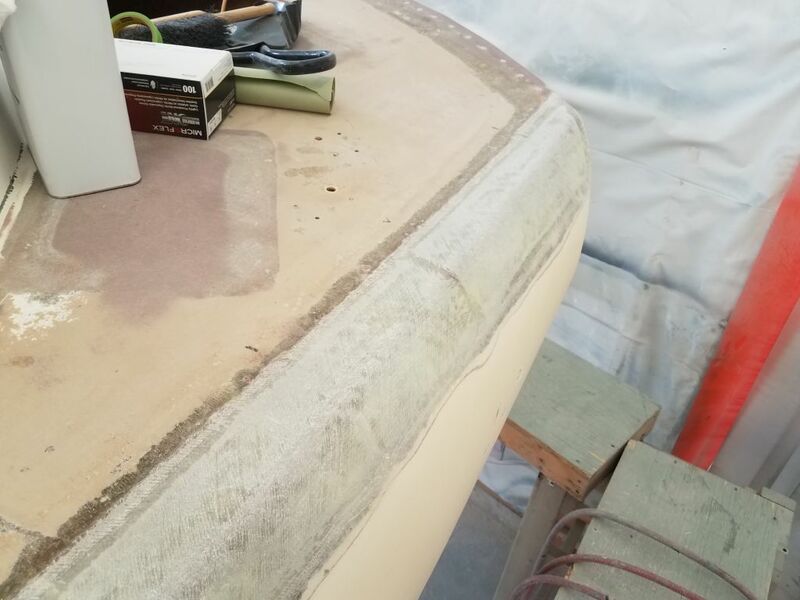 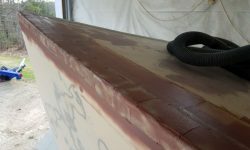 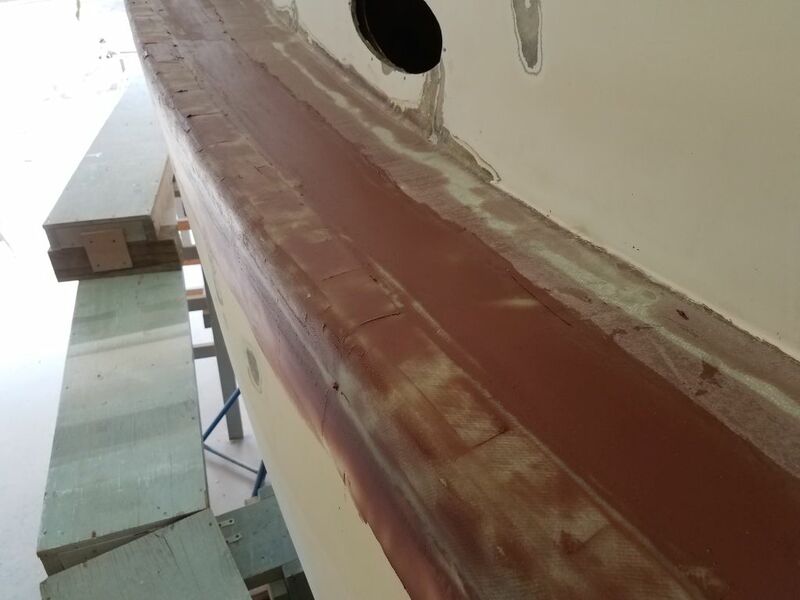 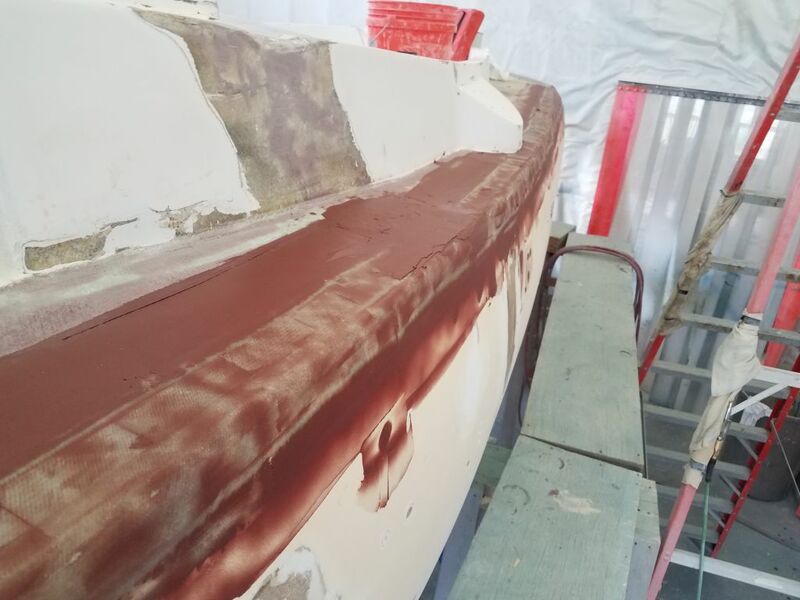 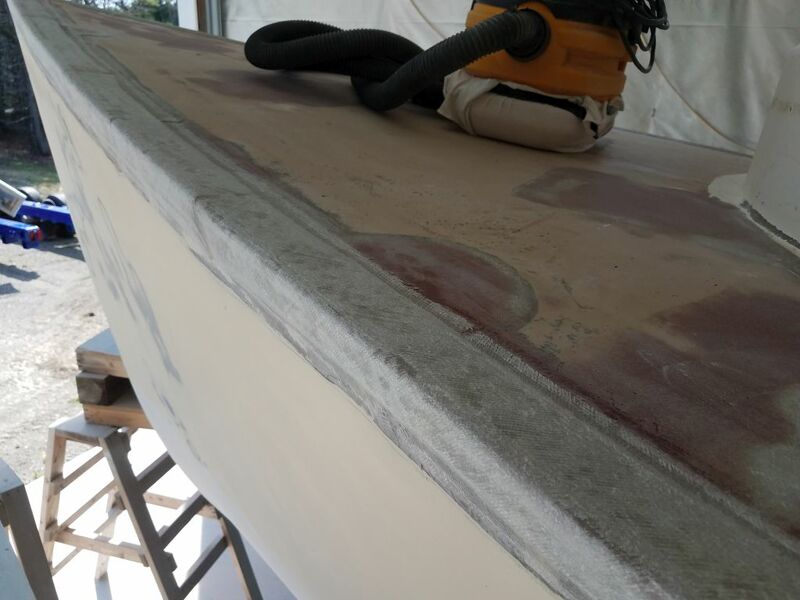 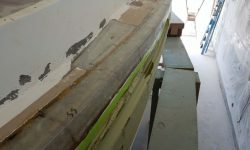 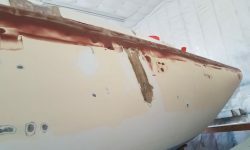 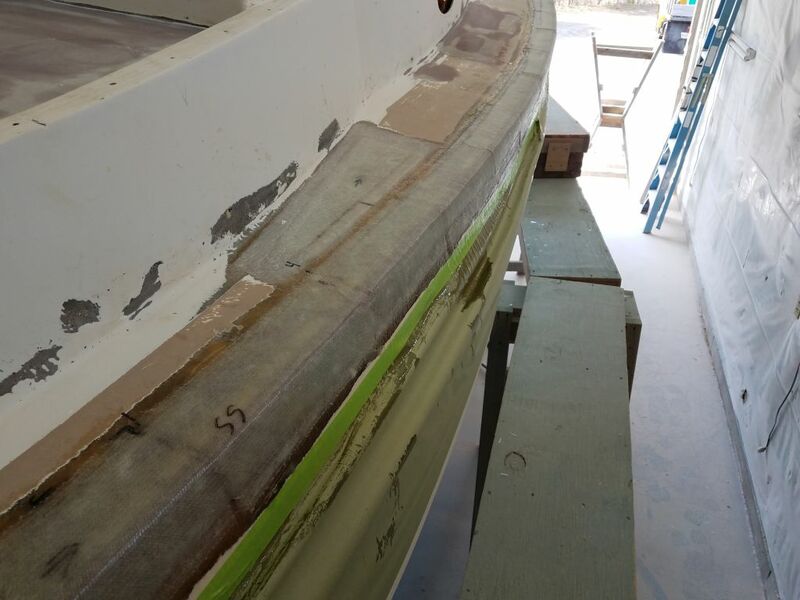 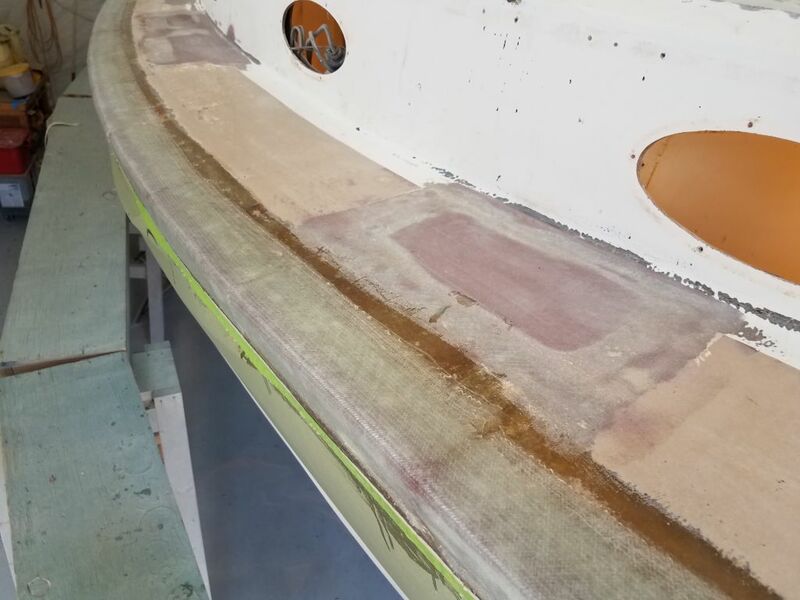 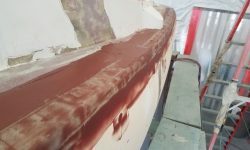 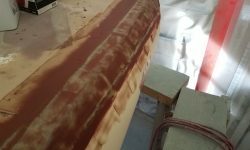 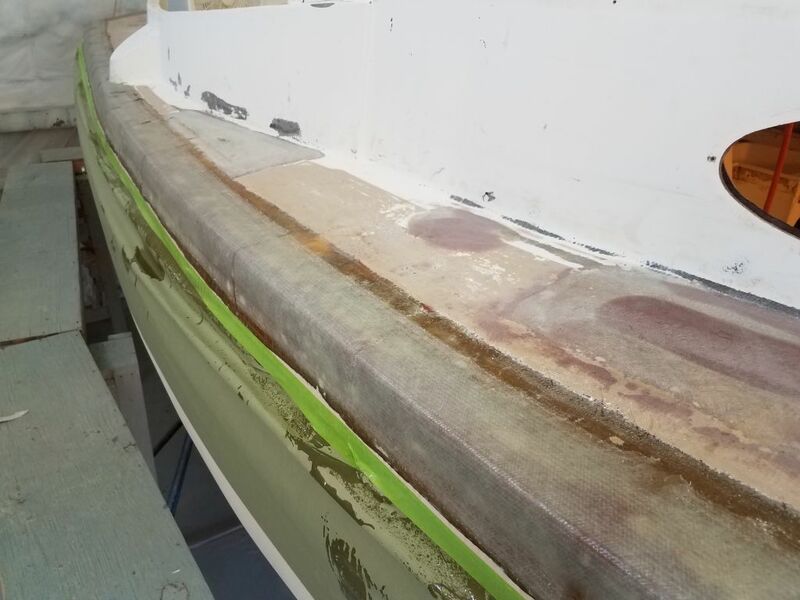 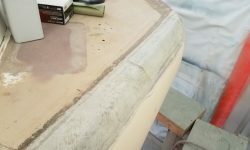 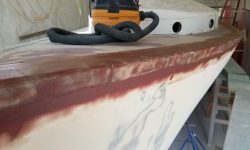 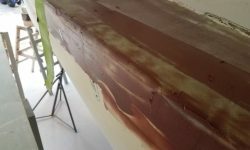 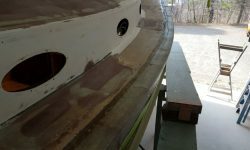 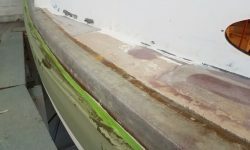 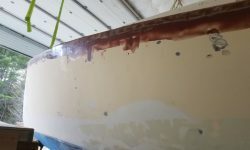 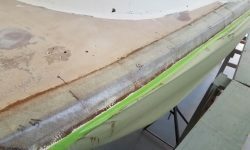 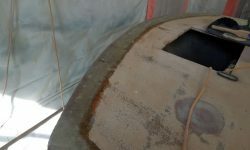 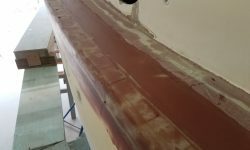 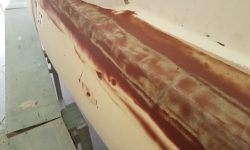 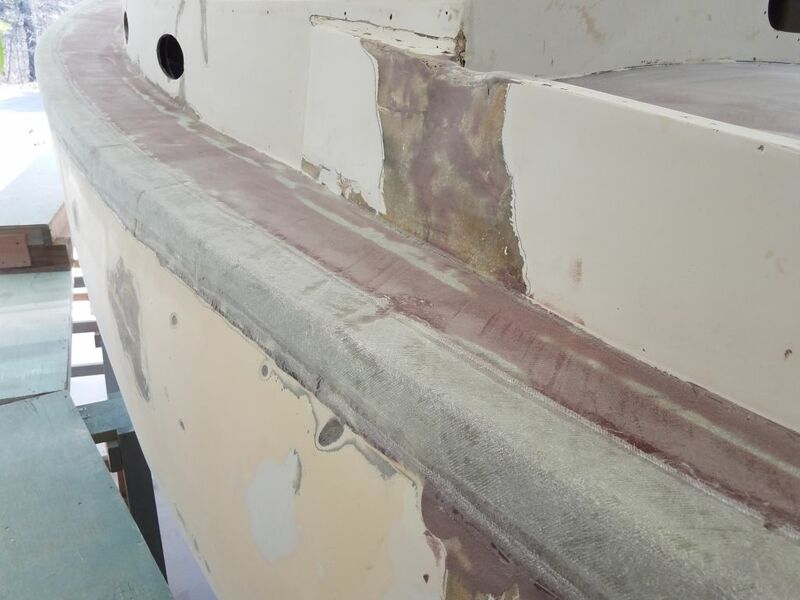 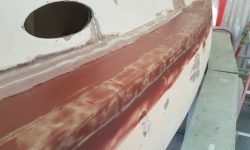 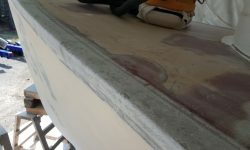 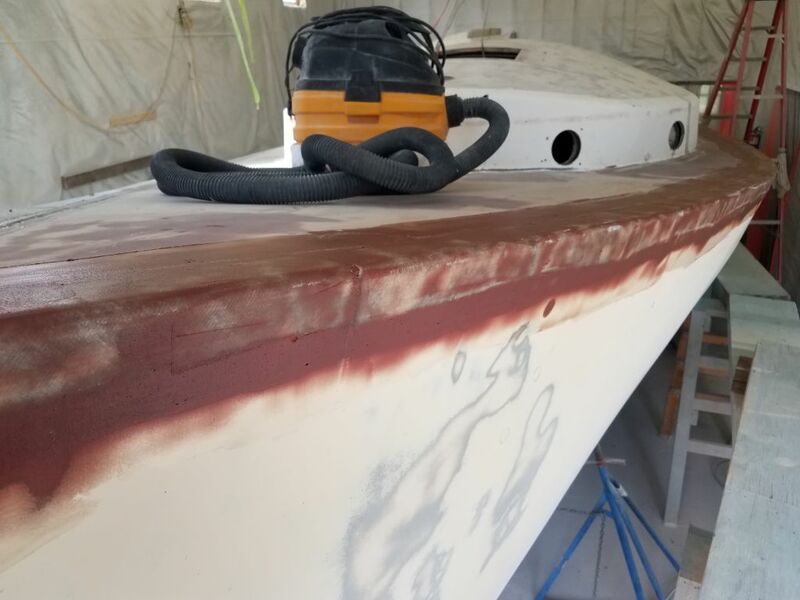 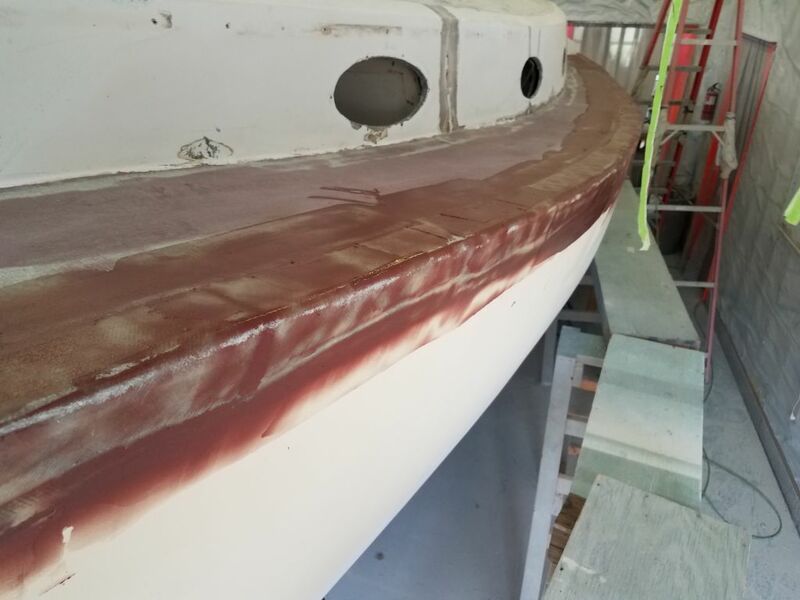 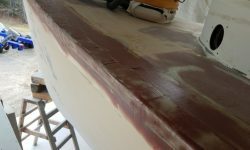 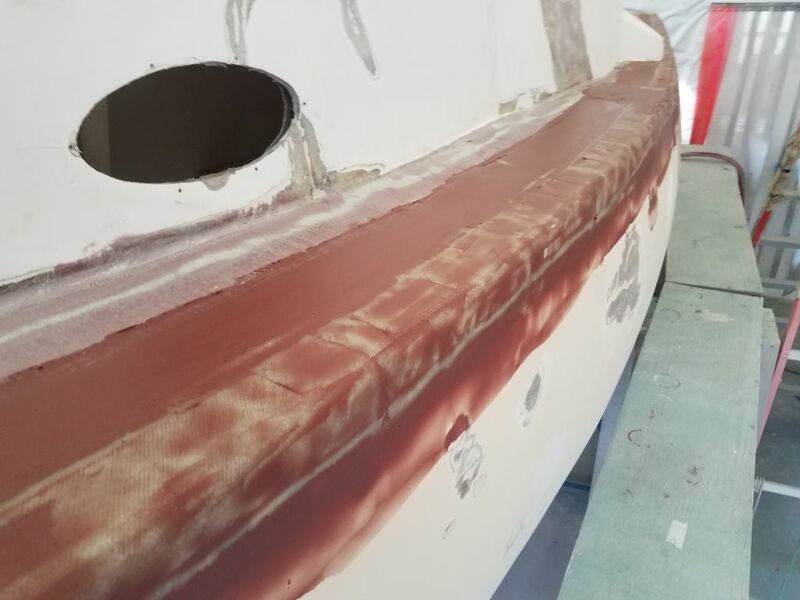 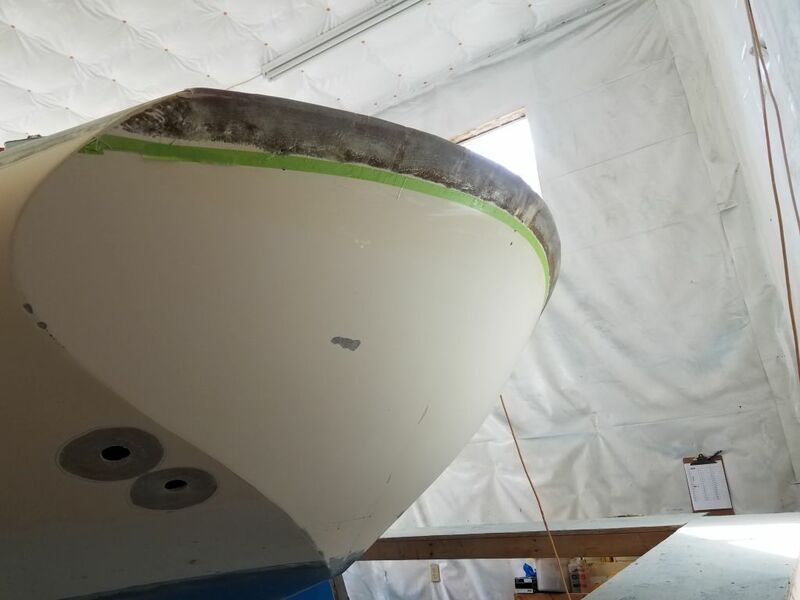 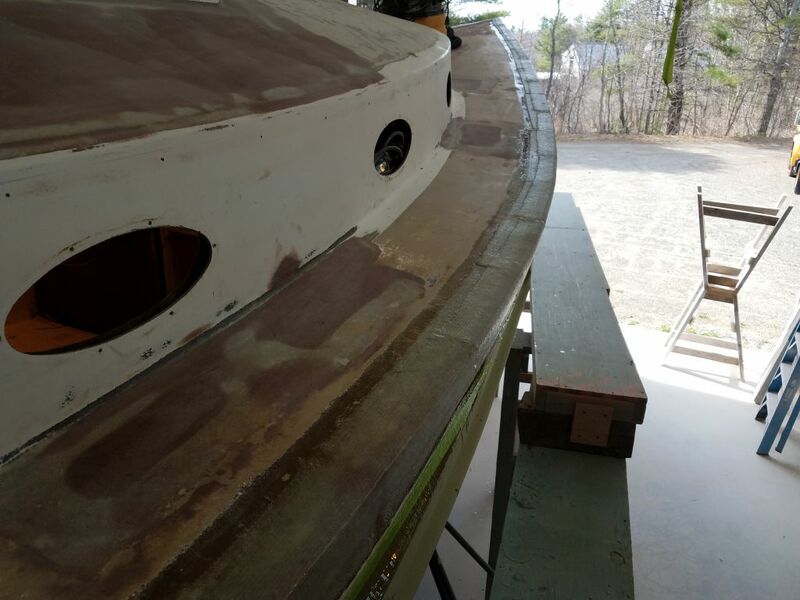 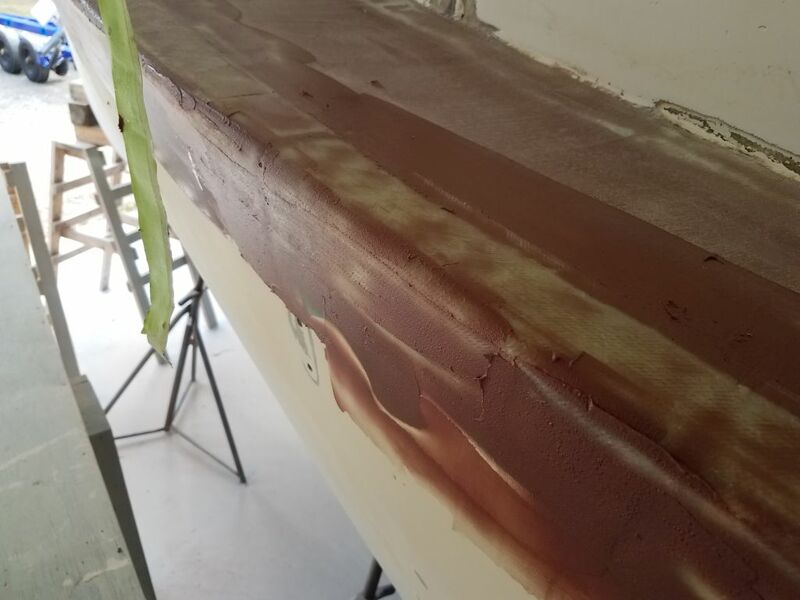 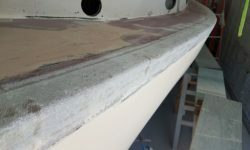 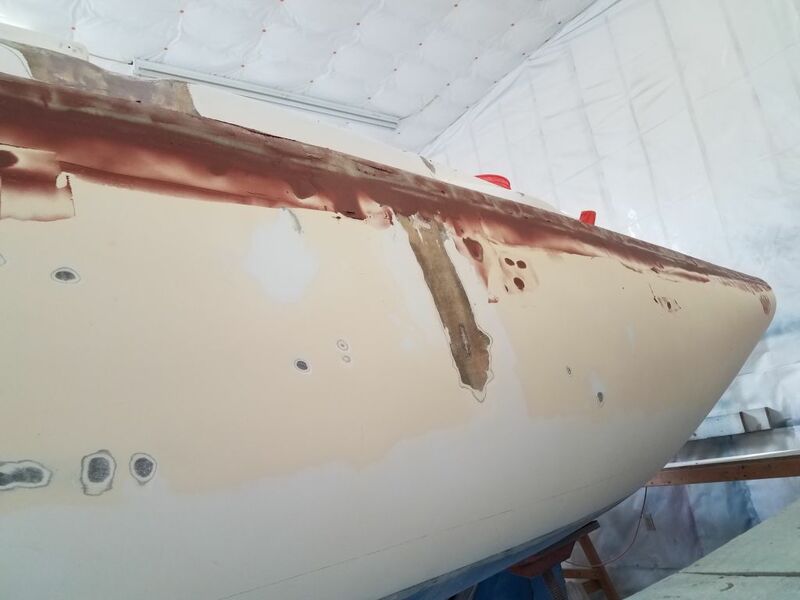 Finally, I applied the first coat of epoxy fairing compound to the port gunwale, beginning to smooth the new work in to the existing surfaces of hull and deck. 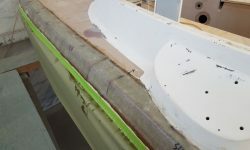 For now, I focused on filling the edge between the top layer of tabbing and the existing surfaces, and filled the weave of the cloth in the remaining areas.